With Nelson Mandela’s death and his elevation into the pantheon of historical luminaries, “He no longer belongs to us – he belongs to the ages” (Barack Obama, NPR, 12/5/2013) it is easy to lose sight of the chilling history of the struggle against apartheid. Before Mandela became an icon of world peace and reconciliation – in 1993 he was awarded the Nobel peace prize together with Willem de Klerk -, he fought along with many others against the oppressive white South African regime and he paid for it with twenty-seven years of prison. When Mandela was liberated in 1990, celebrities from all the corner of the world flocked to South Africa for a chance to meet with him. His post-apartheid commitment to reconciliation stands in stark contrast to the violence and injustice of apartheid which shaped Mandela’s life and his country. Falvey Memorial Library has an array of resources that shed light on apartheid, Boer history, the African National Congress (ANC) and Mandela’s life. 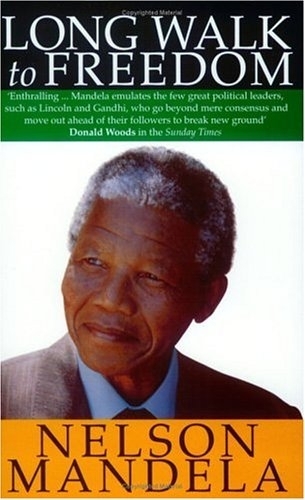 Mandela’s autobiography, Long Walk to Freedom , as well as many of his speeches and addresses, are available in the library’s print collection. Find them through an author search for Nelson Mandela in the library’s catalog. A subject search for his name leads the interested reader to a long list of secondary literature about his life and struggle. For a quick introduction to apartheid, consult one of the library’s online subject encyclopedias, such as The New Encyclopedia of Africa, The Human Rights Encyclopedia [or the New Dictionary of the History of Ideas. The library’s archival collections give the interested reader access to historical news sources, both national and international. Start with the New York Times, America’s newspaper of record, to find the first mention of Nelson Mandela’s name in August 1952 in an article that reports on his arrest: “South Africa seizes non-white leaders.” The Page View option makes it possible to see the front page of the same issue. A quick look at the lead articles of that day, among them “$1,200,000,000 atom plant to be built in Southern Ohio,” puts the article in context. We can also compare coverage in the New York Times with that in the Washington Post. The complete archives of both newspapers are available online. The Daily Reports of the Foreign Broadcast Information Service (FBIS, 1974-1996) database makes international opinions of events in South Africa available to U.S. readers in translation. FBIS is a U.S. government foreign news reporting and translation service. Among the South African news sources featured in FBIS are The Star (Johannesburg), UMTATA Capital Radio, South Africa’s first independent radio station, The Sunday Times (Johannesburg), and the Sowetan, one of the liberation struggle newspapers. Reports about the release of Mandela from prison are grouped together in the FBIS database under the Events tab which features pre-selected news stories on important historical events. 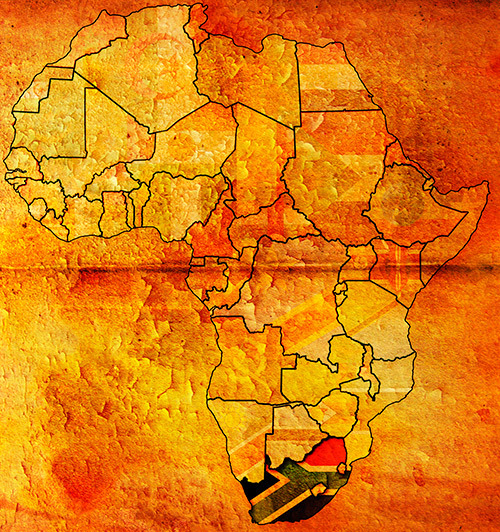 To gain a broader picture of events in South Africa, the reader can browse content from individual news sources, such as the Sowetan, by typing the name of the source into the search field. And don’t forget, FBIS also includes transcripts of speeches and interviews. Last but not least, Mandela, Tambo, and the African National Congress: The Struggle against Apartheid, 1948-1990 : A Documentary Survey includes a wide range of primary sources covering over forty years. Documents range from Mandela’s 1951 presidential address to the ANC Youth League, to his court room testimony, to interviews with fellow prisoners and the Harare Declaration (1989). Questions? Contact us and we will help you to navigate the library’s print and online collections.